Congratulations! You’ve arrived at Marine Corps Base Camp Pendleton, the land of palm trees and taco trucks. After you catch your breath from sticker shock over the price of rent, wander down to the sandy beach and look out at the Pacific Ocean to remind yourself that, for a little while, you get to call one of the most glorious places in all the Earth home. 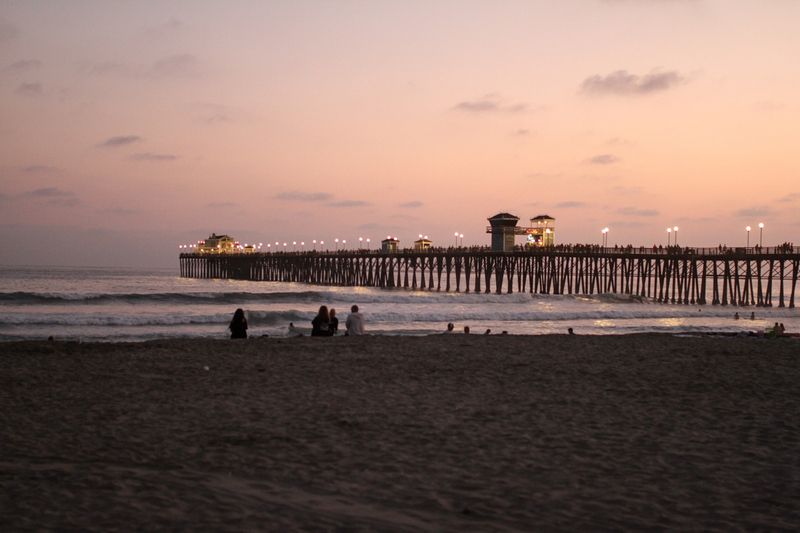 Camp Pendleton takes up a huge chunk of the Southern California coastline, bordering San Clemente in Orange County to the north, Oceanside in San Diego County to the south, and, stretching inland, bordering rural Fallbrook to the east. The base housing provides you with close proximity to the usual amenities of elementary schools, a state-of-the-art gym, a swimming pool, Panda Express, the naval hospital, and the MCX. However, Camp Pendleton is so large that you could still face a 20-minute drive to the commissary from your on-base house. Living off-base, though, leaves you with some big decisions. Along the coast, Carlsbad, Encinitas, and San Clemente boast excellent public schools, but don’t come crying when your BAH only stretches far enough to land you with a backyard that barely fits your patio chairs. It’s OK. Vast beaches and gorgeous community parks are just down the road and will make up for the lack of space out your back door. If you are dead-set on residing on more than a postage stamp, head inland to Fallbrook or Escondido where you’ll have a little more elbow room and are likely to find a house with avocado, orange, or lime trees on the property. When out-of-town guests visit you at Camp Pendleton, they’ll expect you to have a go-to taco shop. Get out there and try Roberto’s, Valerie’s, Alejandro’s, Senor Grubby’s, Los Tacos, and Cessy’s until you’ve landed on your own personal favorite. In-N-Out Burger reigns supreme for fast food that’s fresh, budget-friendly, and downright delicious. Order your burger animal style (not listed, but on their secret menu) and make sure to pop in for free hot chocolate on those few days a year when it rains (for kids 12 and under). If you’ve dreamed about living in your Lulus and Havaianas, going from stand-up paddleboard yoga to an acai-bowl breakfast at Swami’s, and perpetually vacuuming sand out of your car from living at the beach, this is your chance. Those sweaters and designer boots can stay hidden in the back of your closet because it’s all about the beachwear in North County San Diego. Surf Ride, Sun Diego, and Hansen’s are local surf shops you’ll want to frequent so you have something easy-breezy to wear at the beach and around town running errands. Think the beaches are just for tourists? Think again. Locals know what they’ve got and it’s normal to see people from all walks of life catching a sunrise surf. By all means, join them! Grab a boogie board, a shade umbrella, and Rubio’s takeout, and spend the day at South Ponto, Tamarack, Oceanside Harbor, or either of the beaches on Camp Pendleton: Del Mar and San Onofre. Familiarize yourself with the numbered lifeguard towers along the coast because it’s not unusual for locals to say, “Meet you at tower 36,” instead of using actual beach names. Kids from 9-14 can become junior lifeguards through the State of California’s summer program. Offered at several beaches along the coast, spots fill quickly for this incredible camp, which combines ocean-safety lessons with fun and competition — it’s like mini Baywatch and a must for your kid while they live in SoCal. Disneyland, Universal Studios, Sea World, the San Diego Zoo and Safari Park, Knott’s Berry Farm, and Six Flags are all within striking distance here, offering endless entertainment for your family. 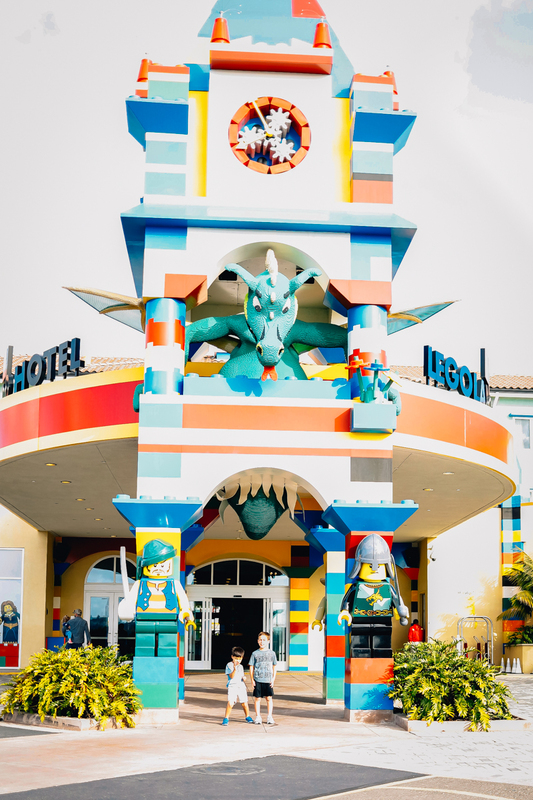 Legoland is the biggie right at your doorstep, though, and if you have kids up to age 12, head over to ITT and purchase the Merlin Annual Pass. It pays for itself in two visits and includes parking, food, and retail discounts. Also included is admission to the adjacent Sea Life Park and Legoland waterpark, which even teens will enjoy. Friends, if you’re not careful, you may not have a dime left to your name after your years at sunny Camp Pendleton, but you’ll have memories of Trader Joe’s and Whole Foods competing with the commissary for your dollars, a garage full of Sunbrella beach chairs that protected you from relentless UV rays, a wardrobe of swimsuit cover-ups that double as casual dresses, you will have become a floating yogi for crying out loud, and that’s got to count for something. 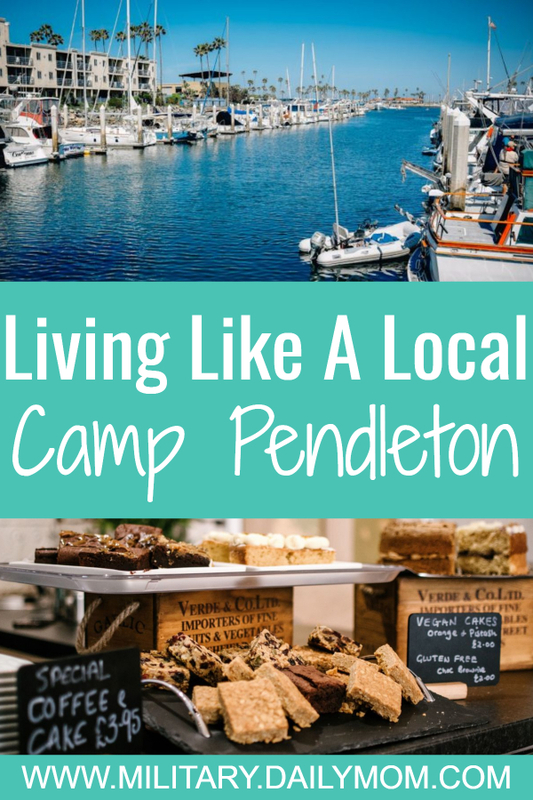 Looking for a spot to spend literally an entire day with the kids around Camp Pendleton? 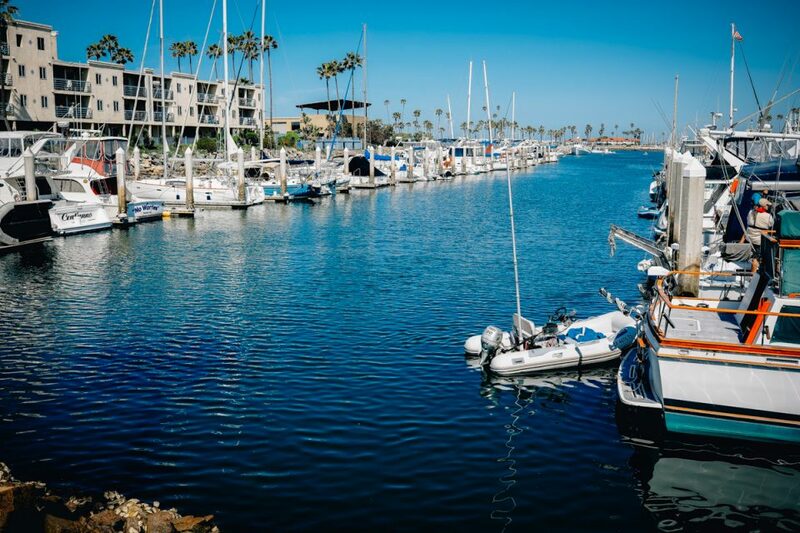 Check out our guide to Liberty Station and head on over. Kara has been a Navy wife since 2001 and thanks to her 3 kids, she is a recovering helicopter mom, veteran soccer mom and reluctant dance mom. She is a Pacific Northwest native currently living the California dream in sunny San Diego. A Registered Dietitian Nutritionist, she loves to read cookbooks like juicy novels and is usually thinking about what's for dinner. She writes regularly on her blog about military life and connects with others in the same boat.